Martial arts: you can do it, this is your invitation! You have the freedom of choice. You can choose to take action or be overwhelmed by your imagined shortcomings and do nothing. Recently my ten year old son asked me whether he could audition for his elementary school’s variety show. I was somewhat surprised as he tends to shy away from the limelight. He needed three other students to participate and thankfully there were ten others including my seven year old daughter, who were more than willing to share their love for Kuk Sool Won martial arts with their peers. They called themselves the Kuk Sool Crew. It was heartwarming to see them band together and practice. They were filled with enthusiastic energy and their excited smiles when they got together were a joy to behold. Their eagerness to try something different was inspiring. Although they were nervous it didn’t stop them from taking a chance. We all have choices to make and chances to take every day. I had always wanted to do martial arts but I thought my age would be too much of a limitation. 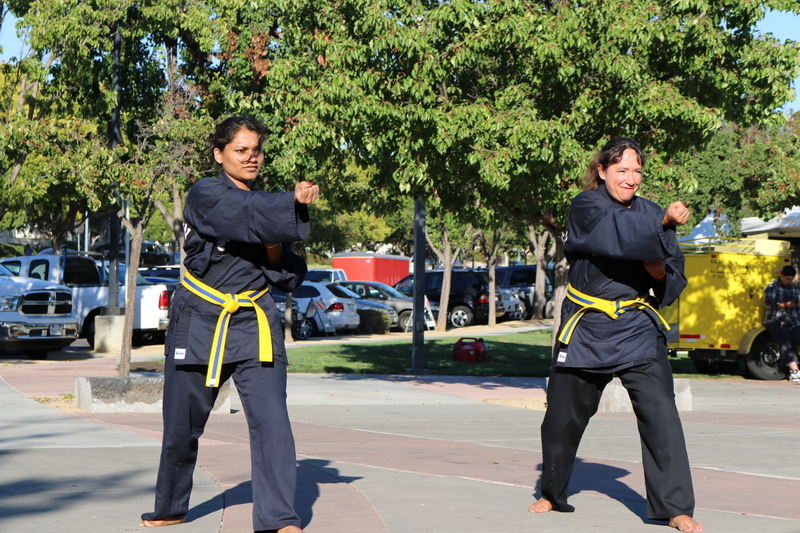 It took someone to invite me to try before I began my martial arts journey at Kuk Sool Won of Dublin, California. An invitation from the school was a catalyst for my kids and their peers to try something different. An invitation from their martial arts Master triggered the start of my Kuk Sool Won adventure. There are numerous martial arts styles including Karate, Jui Jitsu, Taekwondo, Hapkido, Kung Fun, Wushu and Jeet Kune Do to name but a few. I started out trying Tai Chi too. If you check out the newly launched Martial Nation website you can see the multitude of options. You can choose to stay on the sidelines and dream or you can launch yourself into the fray. The choice and the decision is yours. There aren’t always obvious invitations to create the spark that ignites us into action but if you need one then here it is! If you’ve ever dreamed of trying martial arts – this is your invitation! The universe is inviting you – will you accept? The only permission you need to follow your dreams is your own. Our Kuk Sool Won school has a select group of students chosen to do demonstrations. They are chosen because of their dedication, skill and commitment. Every second Saturday of the month they meet to train together and practice. They are all black brown belts and their exemplary behavior has earned them a spot on the team. At their last training session however there were two unlikely guests with the rank of blue stripe. They had been asked to join in the training for a particular public demo to illustrate the point that gender and age should not be a limiting factor in a martial arts journey. I was one of those blue stripes. Fortunately I was doing the form along with my training buddy Ramya. I thought she was rather brave to appear in public doing a martial arts form alongside me. She is very energetic, fit and spirited so doing extra training together was great. The demo was held on a hot and sunny afternoon at a nearby park. It was Community Night at the local Farmers’ Market. The demo team did an excellent job. They clearly were much more familiar with the requirements than I was. When our turn came I surprisingly didn’t feel too anxious and initially started off well. We were about half way through when things went a bit awry and I kicked with the wrong leg! At least I managed to smile at my error and move on. Our fellow participants were very complimentary and encouraging. My kids, dressed in their doboks were excited to be there and my sweet husband came straight to the venue after work to offer me support. We had a second opportunity to do our form and lo and behold I made the same error the second time around! My performance was far from ideal but being there was already a challenge overcome. I still felt a sense of accomplishment and doing the demo in public motivated to keep practicing. We are all growing and learning. Sometimes done is better than perfect.